An advisor on the Ministry Council of the National Network of Youth Ministries, Carlos is incredibly passionate about reaching a new generation. He is the Founder of Concrete + Canvas, a nonprofit startup dedicated to leveraging resources to empower change and strengthen urban youth in under-resourced communities. 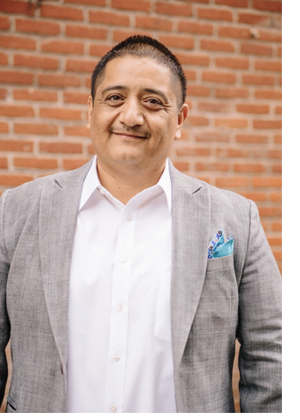 Based in San Diego, California, he serves as a mentor, leader, life coach, and strategic thinker to youth workers and other leaders locally and around the nation. passionate about this generation, driven to share his faith to inspire the young to succeed. He spearheads Concrete + Canvas’s mission to train and equips generation leaders to serve the urban poor to transform communities. He also serves as the Spanish Chaplain for the San Diego Padres at Petco Park and has been featured on TBN Salsa, in Risen Magazine, and most recently in Fuller Magazine. His 20 years of youth work experience also includes co-founding 3D Interns, an intensive summer program that provides intentional leadership development to middle and high school students. Carlos holds a B.S. in Organizational Leadership from Azusa Pacific University, as well as graduated from the DeVos Urban Leadership Initiative, the Fuller Youth Institute Certificate program at Fuller Theological Seminary, the HF Government & Leadership Institute. An advisor on the Ministry Council of the National Network of Youth Ministries,. Carlos is incredibly Carlos Nicasio is the Founder of Concrete + Canvas, a nonprofit startup dedicated to leveraging resources to empower change and strengthen urban youth in under-resourced communities. 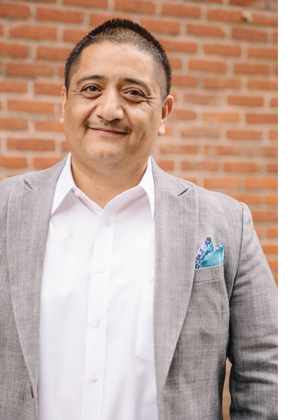 Based in San Diego, California, he serves as a mentor, leader, life coach, and strategic thinker to youth workers and other leaders locally and around the nation. passionate about this generation, driven to share his faith to inspire the young to succeed.